Grab your friends and paddle, yoga or hike your way through Mt. Hood Territory while still leaving time for some delicious craft beverages. So that takes it from a trifecta to a superfecta, right? Whatever you want to call it, what it really means is that you and your friends will have a really fun time adventuring and relaxing on this trip. If being near the water is your happy place then one of the many rivers in Mt. Hood Territory will make for the perfect place to play. Whether that be in a kayak, raft, canoe or stand-up paddleboard there is a plethora of outfitters and guides to get you outfitted with your favorite selection. Clackamas River Outfitters operates out of Estacada and offer a dreamy Twilight Lake Kayak Tour as you paddle upstream at dusk. 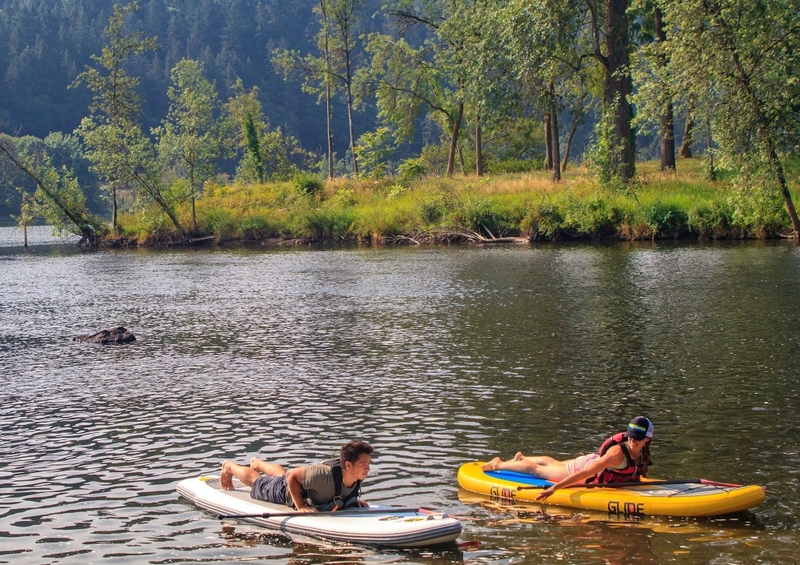 eNRG Kayaking out of Oregon City on the Clackamas and Willamette Rivers offers a famous historic Willamette Falls tour as well as stand-up paddleboard (SUP) yoga classes (yep, because yoga needed to be made more challenging). For those who's ear's perked by the mention of yoga but got intimidated (like I did) when I heard about doing it on the water, a more relaxing version is to participate in a class on a farm...with friendly furry alpacas playing in your peripheral. Alpacas at Marquam Hill Ranch started offering Alpaca Yoga last year and it was a phenomenal success. The gentle alpacas graze around you as you perform your warrior 2 pose and breath in the fresh air and experience total zen. Even better is a little wine tasting afterwards from nearby AlexEli Vineyard and Winery or heading out for a tasting at one of The Territory's award-winning wineries to help you relax and enjoy even more. Spring is the pinnacle for hikers because the weather is in the sweet spot of not too cold or hot, generally speaking, and the wildflowers start to bloom along the trails. This makes for some glorious views by your feet and of the vistas. 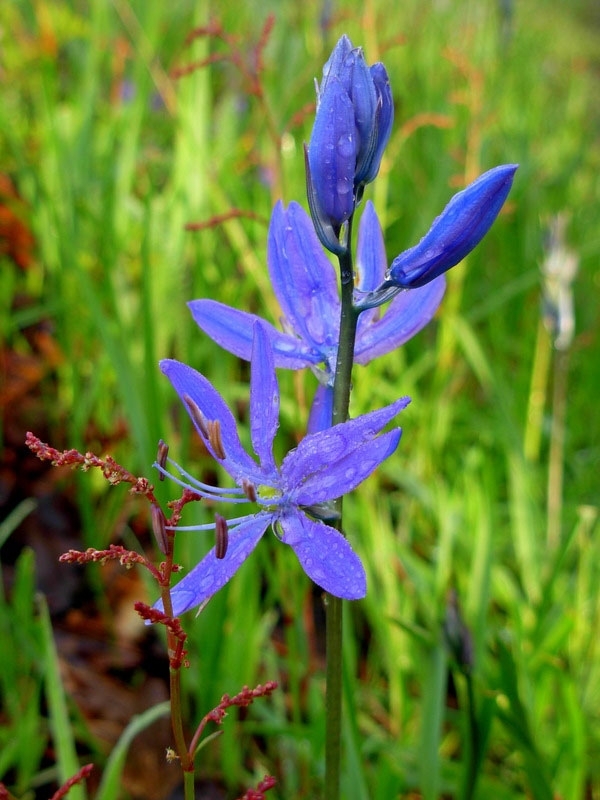 One of my favorites is the 26-acre Camassia Natural Area in West Linn. It sits on the top of a bluff that overlooks both the Clackamas and Willamette Rivers and has over 300 different plant species that start blooming in April and run through May. Want a curated trip plan for a long weekend with your friends? Check it out here.